Freshly Made Sketches: Winners For Sketch 294! What a great gallery this week! I enjoyed looking at each card and marveled at how creatively everyone used the sketch. I decided to select Jan's card for Queen because it has it all -- beautiful coloring, texture, shine, and a fresh and clean design. Congratulations, Jan! You are the Queen of Clean! Thank you Amy! This was a fantastic sketch to play with and it produced beautiful cards from everyone. 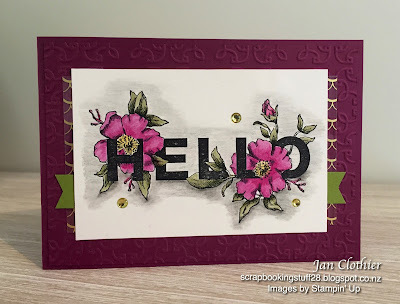 Thank you Jen, and I agree with Jan, that was an amazing sketch to play with and so fun to see what everyone created with it. WHoo Hooo!!! Thank you so much!!! So happy to be here playing with so many wonderful people!